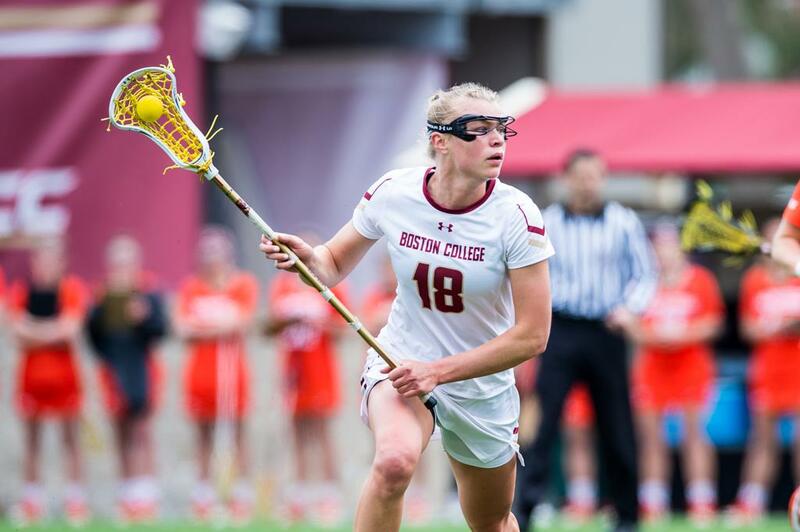 The top-ranked team in the Division I Coaches Poll is Boston College (6-0), who again claimed all but one first place votes. The top five team remain unchanged, as Maryland (5-0) is ranked second, and North Carolina (4-1) checks in at number three. Syracuse (6-1) holds onto the fourth position after notching wins over Loyola and Virginia last week, and the fifth ranked team is again Northwestern (4-2). Virginia (5-1) and James Madison (4-1) stay in the top ten at sixth and seventh, and are joined by a trio of new teams in the top ten this week: Penn (4-0), and Princeton (3-1) and Loyola (2-2), who both beat Penn State (3-2) last week, dropping the Nittany Lions to #19. Michigan (6-0) and Stanford (4-1) both moved up seven spots this week, as the Wolverines win over Denver bumped them to the thirteenth spot, and the Cardinal’s win over Stony Brook put them at number fifteen. Navy (4-1) was the other big mover, using a win over Florida to slide into the twelfth spot. There are several Top-25 games to look forward to this week, starting on Wednesday, when James Madison (#7) travels to #19 Penn State, #25 Towson hosts #10 Loyola, and top-ranked Boston College visits #12 Navy. The weekend starts on Friday with Colorado (#23) visiting #15 Stanford, and continues on Saturday with clashes between #3 North Carolina and #6 Virginia, Maryland (#2) and Syracuse (#4), Penn (#8) and #21 Georgetown, Princeton (#9) and #18 Stony Brook, and #5 Northwestern versus #1 Boston College. Sunday’s games include #25 Towson at #13 Michigan and Southern California (#22) hosting #24 Virginia Tech.